REPORT IT, OR YOU SUPPORT IT! 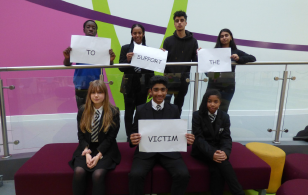 This month, the students of Whitmore High School supported Anti-Bullying Week (12th-16th November) by making a stand against bullying and promoting the school’s status as a reporting school. In AM registration, students explored the key reasons why bullying must always be reported. These ranged from the psychological and physical effects of bullying, to counselling for victims and perpetrators and civic responsibility. This theme was explored further in assemblies that took place this week. 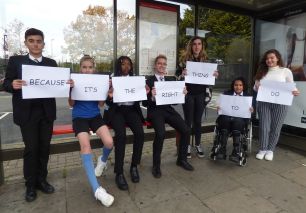 During their PSHCE lesson, students explored the difference between ‘telling’ and ‘reporting,’ with the aim of the former being to get somebody into trouble, whilst the latter ensures the safety of all involved. 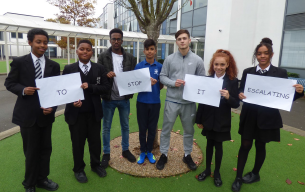 Form groups also participated in a whole-school competition to create a whole-school motto encouraging people to report bullying. The winning motto was ‘Report it, or you support it!’ which was created by 10DAL, who will receive a form pizza party as their prize. This motto will be displayed around the school, along with each form’s signed anti-bullying charter. 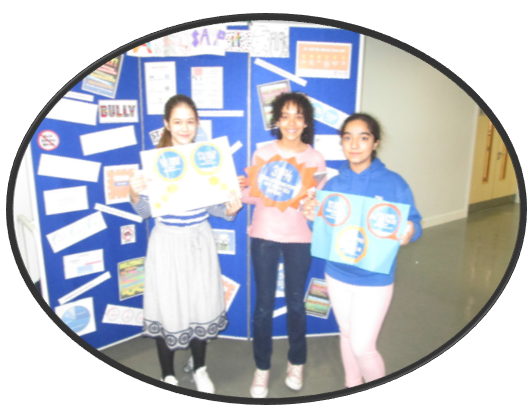 On Friday 16th November, the school held a non-uniform day to raise money for key anti-bullying charities: Anti-Bullying Alliance, Kidscape and Childline. 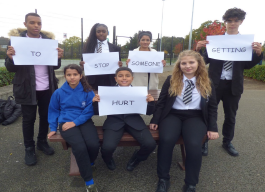 A pop-up stand was also available at lunchtime to raise awareness about the three charities, and the school’s Anti-Bullying. Advocates were on hand to discuss any questions that students had. A huge thank you to the school community for their achievements this week. Watch this space for further Anti-Bullying events that will be run later this year by the school’s Anti-Bullying Advocates.